Fur is biodegradable... so what ? Few weeks ago a video released by the european fur lobby left us somewhat embarrassed. It describes a scientific experiment conducted by Organic Waste Systems Belgium and commissioned by the fur factory farming industry whose conclusion is that "real" fur is biodegradable unlike faux fur. The way this study is detailed, especially the outcome of the experiment, is seriously misleading for the eco-minded fashionistas. From 6,6 % to 25,8 % of the real furs were biodegraded, the lowest percentage being a dye fox fur. Such a low percentage questions the results relevance and the way they are being heavily promoted by the fur lobby. The concept of biodegradability must be applied seriously when it makes a point. How many mink coats in the landfill ? In addition to that, how relevant is that to know that something that will never end its life in the nature will biodegrade ? Biodegradability is crucial for small – disposable items like plastic bags, bottles or cigarette butts. All those small things that accumulate in the nature and transform it into a giant landfill. 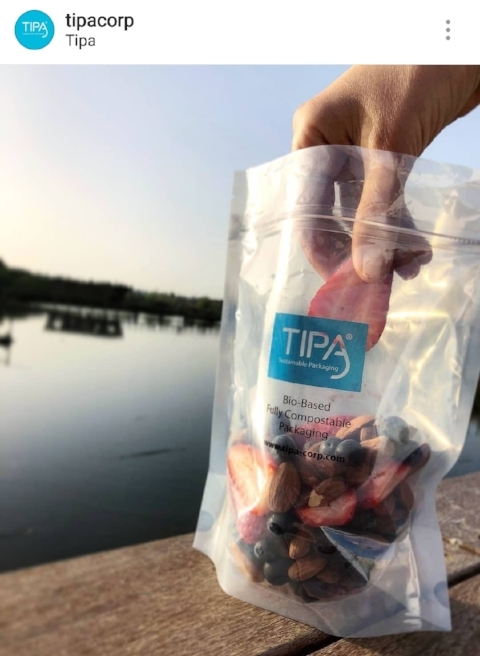 When an Israeli start-up invents a fully compostable flexible plastic packaging which will decompose in 180 days, this is revolutionary because we know that packaging is a huge part of plastics found in the nature. This invention can have a very positive impact. Claiming a fur coat is biodegradable is good for the marketing but of no use for our planet. It is like claiming a car is biodegradable. About landfill and all that biodegradability talk, it is important to remember that neither a fur or faux fur coat should go to landfill and that an apple thrown on a field will decompose properly, but thrown into a landfill will be trapped in an environment where it can’t break down. It is also important to remember that there are biodegradable plastics that will break down in specially designed facilities - but if they don’t reach those special facilities, they will remain intact and not fulfill their biodegradable function. The same can be for fur coats and faux fur coats. Besides, recycling a 100% polyester coat is more eco-friendly than leaving a fur coat to decompose on a landfill. One can wonder if such studies will not encourage people to discard their garments in the nature as long as they contain "real" fur or other animal derived parts ? Another important question arises : is a real fur coat litter-friendly ? Even compostable products are designed to compost in a specific composting setting. But it turns out that a mink coat or a fox coat could negatively impact a composting setting due to the presence of formaldehyde, chromium and other petro-chemicals components used to process the pelts. Lastly, such assertions must be accurate and need to be enforced by practical measures. Until proven otherwise, the fur industry does not provide a collection system of old fur coats that would convert the biodegradability aspect of furs into an operational reality. We believe in effective science with a potential positive impact on our nature. It is way more interesting. Have you heard about this serendipitous discovery ? scientists found a bacteria able to "eat" plastics. That’s the kind of news full of promises for a greener future. Quite different than using ecology to promote factory farming. We will keep an eye on this innovation and we will continue to spread accurate and documented information about faux fur in order to show the way forward.